Every now and then I delve into the annals of history and throw some statistics into the mix, that make me both a tad sad and equally sad for getting a bit of thrill by my findings and what they may mean. (Usually bugger all, but for that moment of delusional excitement well worth it). With our both surprising and extremely pleasing start to the season seeing us alongside Forest as unbeaten as we nearly enter the second quarter of the fixture list I thought I'd take a look back at how other teams, unbeaten at this point, fared come the end of the season. First bit of good new is none of them got relegated. The second is that we really ought to revel in our status. It is actually incredibly rare to get to this point not having dropped a whole three points in any one match. Perhaps rarer than you may think. Prior to ourselves and Forest, only three clubs have managed this feat in the last ten years going back to 2004-2005 season. QPR twice, Middlesborough and Wigan Athletic. QPR were unbeaten at this point and finally got promoted, all be it a touch of fluke in 2013-14. Boro were unbeaten at this stage (not with a dissimilar record to our own) and finished just short of a play off place in seventh and five points off the pace. (I'm sure all sensible Addicks offered that in the summer would have bit the proverbiall hand off). QPR again in 2010-11, going on to romp to the title. Finally, and a full ten years prior, Wigan Athletic finished second to grab automatic promotion. So as you'll see, we are amongst good company and it's not a common occurrence. Interestingly the season we went up via the 'greatest ever game at Wembley' do you know who were Champions? Nottingham Forest. But that really is a tenuous statistic twist too far. 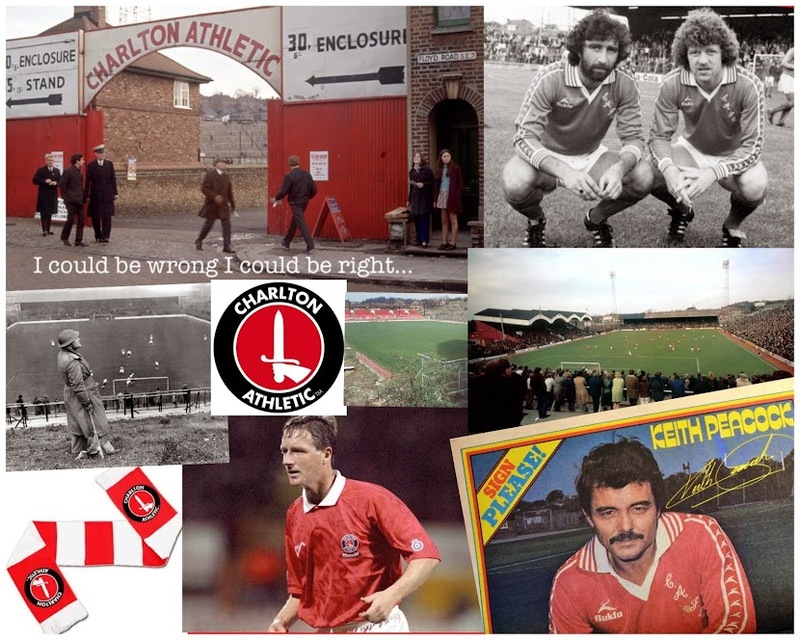 Bottom line for me though is, regardless of the number of draws, this is not what we know as a typical Charlton side (except for the stoic and plucky determination NOT to lose). The will to win, confidence and general big thinking attitude fills me with confidence that there will be no spectacular bubble burst. Almost certainly the odd blip, but we will be there or there abouts come May. The next three results may or may not bring us all out in raptures of delusional optimism and joy. On paper all three games could offer some kind of return. When I look at the fixtures, tomorrow is the one that worries me the worst. Bournemouth have none of the delusions of grandeur that Bolton, Fulham and their respective managers do. And I believe are the most likley to put an end to our run. I'd be happy with another draw tomorrow. I feel we have the beating of Bolton under the lights at The Valley on Tuesday. And we are due a win at Craven Cottage, who I still believe look like going the same way as ourselves and other mid table premier league regulars have gone over recent seasons - league one! If we come out of the next three games with five points i'll begin seriously thinking of a season at least two games longer than I'd anticipated, and perhaps even a trip with the whole family back to the new Wembley for another play off final. Last time I went it was with the wife, Mum and Dad and technically my eldest (who was busy kicking around in my wife's tummy getting ready to make her imminent arrival). Being a Charlton supporter and blogger is officially becoming fun again. (Almost).